Referral marketing, also known as word-of-mouth marketing, is one of the oldest (and still most effective!) marketing strategies out there. It’s basically about people buying your products and services because somebody they trust recommends it to them. Word-of-mouth is a subtle process that is present everywhere in our daily lives. The reason for which a lot of small businesses are not considering it more is because of the simple fact that it’s not that visible like a TV commercial for example (I like to call this the “Super Bowl effect”). Nevertheless, study after study, word of mouth always shows up like the most powerful form of promoting your business. Just look at the numbers below, from a study performed by the Nielsen Company (a leading global provider of information and insights into what consumers watch and buy). Basically, the graph shows that 90% of consumers around the world say they trust word-of-mouth from their friends and family above all other forms of advertising. 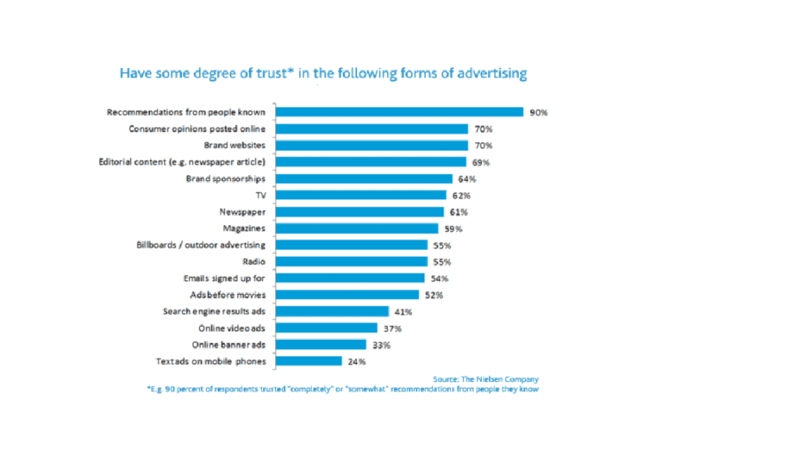 Also, 70% of them trust other consumers’ opinion posted online. These numbers alone are gold and speak volumes about the power of this (sometimes disregarded) marketing channel. But why makes referral marketing that special? 1. It comes with the persuasion factor already included! So, basically, referral marketing works that well because people trust the opinions of other people they respect and love, like their friends, family or other people they admire. 2. The laser targeting aspect of referral marketing! If you tried (or want to try) Facebook ads, you know that if you don’t get your target audience right, your entire ads budget will go to a waste! It’s like throwing spaghetti on a wall with your eyes closed and just pray that some of them will stick! 3. The reach of referral marketing today can be crazy high. I remember that several years ago (ok, many years ago! ), when I was a little girl, my father would not hire any handyman to do work around the house unless it was somebody highly recommended by a friend. So every time he needed one, he picked up the phone and called at least 10 friends before getting a referral. But today, if I need to urgently buy a laptop or if I want to try a new gym or if I want to hire a trusted virtual assistant, all I have to do is to post my message on social media (to my friends or in the groups I am part of). I will have a reply in the next 10 minutes or so. With a simple Facebook post or the Instagram selfie, everybody can reach hundreds of (trusted) people in just seconds. This is also valid in the opposite way: a very good testimonial about your brand or products/services, posted on social media, will reach hundreds (even thousands) of potential clients in minutes. 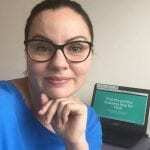 Ok, so we covered why referral marketing is so effective and why you should use it to grow your small business fast with zero impact on your (small) budget. Now let’s see exactly HOW you can take advantage of this massive opportunity. Because all the theory is useless unless it comes with a plan to implement it. But first, let’s get clear on a fact: your business will not benefit if your only referral sources are only your close friends and family, right? There are also other sources of information that are trusted by the average consumer today and that can also bring you more sales that you can handle (nice picture, right?). influential bloggers in your niche. Then, please note that you, as a small business owner, have a huge advantage over any big company out there: you are much closer to your customer and you can deliver your personal attention to each of them and thus make them feel special for being your clients. And this is one of the most effective ways to benefit from the word of mouth marketing. 1. Focus on one thing: having a very good product or service. If your product is not doing a good job at solving your clients’ needs, not only you will not gain any advantage from word of mouth, but you are going to even turn it against you. Because if a good testimonial can reach people in minutes, a bad one will only need a fraction of a second! Bad news always travels the fastest. Get to know your clients, remember their names and purchasing habits, start a conversation with them and know more about their status and their desires, greet them like you would greet an old dear friend – all this will make them feel welcome and special. And this type of feelings always leads people to share it with everyone they know. 4. Have a process in place to manage clients concerns and unhappy clients. This will give you two major things: you will always improve your products and services and you will also avoid bad testimonials that can do a lot of damage. 5. Proactively ask for testimonials and referrals. Also, if in any conversation (online, text messages, on Facebook groups etc) somebody is telling you something positive about your brand/business/product make sure you record that. Print screen, take photos, save links, do whatever it is required to do. In this way, you’ll never run out of (fresh) testimonials when you need them. 6. Make it easy for people to spread the word (bonus points of you can also make it fun!). 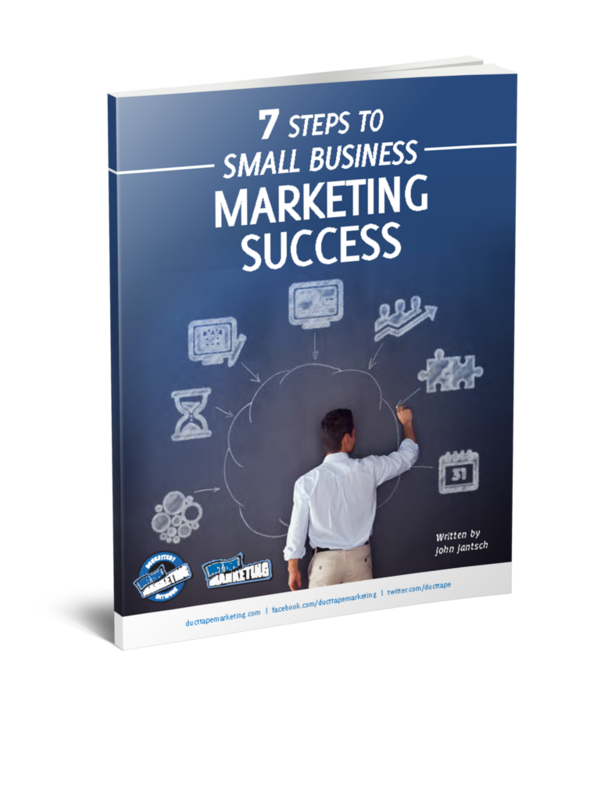 7.Use all the testimonials effectively. 8. Stand out from the crowd and be visible to your clients. We all know that people love to buy from the best, the experts in their field. It gives them confidence and it makes them feel good about themselves. And this is exactly how you would want your clients to feel like after buying from you! Also, no matter what type of business you have, providing valuable information and advice to your audience (actual and future clients) by writing a few effectively placed articles is the fastest (and easiest) way to become known as an expert in your field. So make it your goal to write at least 5 well-written articles at have them published on good quality websites that you know are valuable for your audience.